Founder member of the Buttsbury Art Society, member of “The 7” life drawing group in Billericay, co-founded the Northwold Art Group 2006. Co-founded All Saints Painters and member of West Norfolk Arts Association. 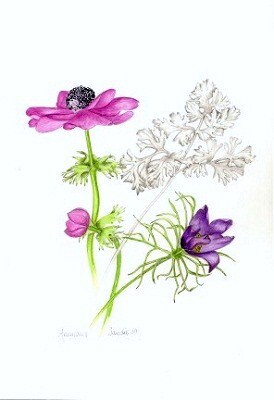 A Founder member of Iceni Botanical Artists (loose women division! ).